Nigeria’s foremost and biggest Amusement Park and Resort owner, Solution Media & Infotech, is set to revolutionize the tourism and hospitality industry with its plan to bring to the shores of Nigeria, a 42m long luxury yacht. In a statement by the Chairman and Chief Executive Officer of the company, Prince Adeyanju Lipede, the luxurious yacht, which is part of “Hi-Impact Cruise”, is said to be 42m long, 12m high and designed with exquisite fittings for guests, particular about quality and elegance. 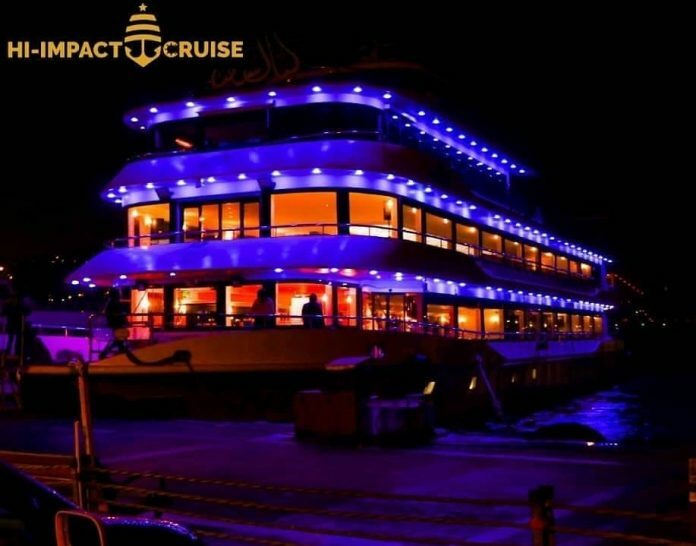 The yacht is poised to cater to corporate organisations and individuals who desire to host their events in a serene environment that reflects their taste for excellence and uniqueness. The magnificent edifice, which is designed for events such as corporate Annual General Meetings (AGMs), Conferences, Luxury Cruises, Birthdays, Destination Weddings, Team Bonding Activities and Parties will be stationed at the water fronts of Nigeria’s economic capital, Lagos. The statement also has it that the yacht has a guest capacity of 600 banquet seating and 1100 standing with full air-conditioned interior and chilling capacity of 528,000BTU. The automated sunroof impressive piece also has in-built 32 CCTV Cameras, 6 Automated Sensor Doors, 4 Cabin Rooms, an exotic bar, relaxing lounge, 7 very clean and hygienic toilets as well as 230 KW power generator. Solution Media & Infotech is the owner and operator of the biggest Amusement Park and Resort in Nigeria called Hi-impact Planet Amusement Park and Resort, as well as Hi-Impact Television- Nigeria’s first full HD television station.